This research is devoted to the problem of the formation of communicative competence of students learn Russian as a foreign language. One of the effective ways to form communicative competence is the use of associative-verbal network. The results of the associative experiment show that the introduction of associative dictionary materials into the educational practice of teaching Russian increases the level of language skills of foreigners. The associative verbal network is a way of representing linguistic consciousness and a reflection of the systemic representations of national cultural ideas about the world. Associative reactions associated with mental attitudes and cultural and moral values ​​affect the compatibility of words, connotative meanings and implicit meanings. Typical constructions and usage of words appear, in which the speech stereotypes of the Russian speakers are revealed. Knowledge of these speech stereotypes and the ability to use them in practice demonstrate the level of communicative competence of foreign students. Information associative dictionaries and the results of associative experiments allow you to create the conditions for the formation of a full-fledged speech activity in the framework of intercultural communication. The results of this study can be used in the practice of teaching Russian as a foreign language. They can also serve as the basis for subsequent scientific developments in the Russian language teaching system. 3.Vyatyutnev, M. N. Kommunikativnaya napravlennost’ obucheniya russkomu yazyku v zarubezhnyh shkolah [Tekst] / M. N. Vyatyutnev // Russkij yazyk za rubezhom. – 1977. – № 6. – S. 38–45. 6.Karaulov, Yu.N. Russkij associativnyj slovar’ kak novyj lingvisticheskij istochnik i instrument analiza yazykovoj sposobnosti [Tekst] / Yu.N. Karaulov // Russkij associativnyj slovar’. M., 1994. K. I. – S.190 – 218. 7.Karaulov, Yu.N. Associativnaya grammatika russkogo yazyka. [Tekst] / Yu.N. Karaulov. – M.: \”Russkij yazyk\”, 1999. – 330s. 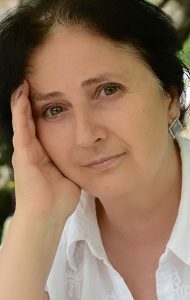 8.Sergeeva L.A. Konnotativnoe znachenie kak ob”ekt lingvisticheskogo analiza [Tekst] / L.A. Sergeeva // Issledovaniya po semantike: Mezhvuzovskij nauchn. sb. / Bashk. un-t. – Ufa, 1983. – S.114-116. 9.Sternin I.A. Kommunikativnoe povedenie v strukture nacional’noj kul’tury. [Tekst] / I.A. Sternin. // Etnokul’turnaya specifika yazykovogo soznaniya. M., 1996. S. 97–112. 10.Russkij associativnyj slovar’ / Yu. N. Karaulov, G. A. Cherkasova, N. V. Ufimceva i dr.: V 2 t. — M., 2002. – [Elektronnyj resurs]. URL: http://www.tesaurus.ru/dict/index.php (Data obrashcheniya: 25.12.2018). 11.Russkij associativnyj slovar’. Associativnyj tezaurus sovremennogo russkogo yazyka. V 3-h chastyah, 6-ti knigah / Yu.N.Karaulov, Yu.A.Sorokin, E.F.Tarasov, N.V.Ufimceva, G.A.Cherkasova. Kn. 1, 3, 5. Pryamoj slovar’: ot stimula k reakcii. Kniga 2, 4, 6. Obratnyj slovar’: ot reakcii k stimulu. M., 1994, 1996, 1998. 12.Russkij associativnyj slovar’. V 2 t. / Yu.N.Karaulov, G.A. Cherkasova, N.V. Ufimceva, Yu.A. Sorokin, E.F. Tarasov. T. I. Ot stimula k rekcii: Ok. 7000 stimulov. M.: AST-Astrel’, 2002. 784 s. T. II. Ot stimula k rekcii: Bolee 100 000 reakcij. M.: AST-Astrel’, 2002. 992 s.
13.Slavyanskij associativnyj slovar’: russkij, belorusskij, bolgarskij, ukrainskij / N.V. Ufimceva, G.A. Cherkasova, Yu.N. Karaulov, E.F. Tarasov. M., 2004. 792 s.
14.Slovar’ associativnyh norm russkogo yazyka. Pryamoj / Pod red. A.A.Leont’eva; M., 1973. Obratnyj slovar’ / G.A. Cherkasova. [Elektronnoe izdanie]/ 2006 g. URL: http://it-claim.ru/Projects/ASIS/Leont/Index.htm. (Data obrashcheniya: 15.01.2019). 15.Cherkasova G.A. Russkij sopostavitel’nyj associativnyj slovar’. –M. : IYaz RAN, 2008. 16.Assiciative Thesaurus of English//G.Kiss, C. Armstrong, R.Milroy, J.Piper, Edinburg, 1972. 17.Ufimceva N.V., Obraz mira russkih: sistemnost’ i soderzhanie [Tekst]// Yazyk i kul’tura. 2009. — № 4 (8). — S. 98-111 – 102. 18.Ufimceva, N.V. Yazykovoe soznanie: dinamika i variativnost’ [Tekst] / N.V. Ufimceva. – M.: Institut yazykoznaniya RAN, 2011. – 252 s.
19.Chernejko L.O., Dolinskij V.A. 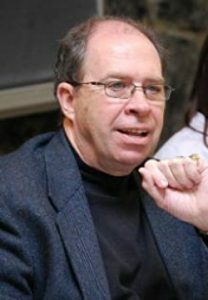 Imya SUD’BA kak ob”ekt konceptual’nogo i associativnogo analiza. [Tekst] / L.O. Chernejko, V.A. Dolinskij // Vest. Mosk. un-ta. Seriya № 9, Filologiya. 1996. № 6. – S.20-41. 21.Hymes, D. On Communicative Competence / D. Hymes; in J. B. Pride and J. Holmes (eds.). – New York: Harmondsworth: Penguin, 1972. – R. 269–293. 22.Miller G.A. The organization of lexical memory: Are word associations sufficient? – In: The Pathology of Memory. New York etc., 1969, p.223-236. 52 published articles, areas: literary text, discourse, evaluation category, language concepts. Acknowledgements: My gratitude to the Chair of Russian language and Publication of the Russian New University for the affirmative evaluation of the article and its Recommendation for publishing. Express my appreciation to Doctor of Philology Tatyana A. Golikova for scientific counselling.